For the second issue, we felt inspired by the changing seasons, conceptions of “growing up”, and the difficulties of confronting a changing and unchanging self/society/world. Big ideas. Broad questions. Respond by submitting your work. Short films, long stories, audio poems, visual art and everything in between are welcome. Full submission guidelines are detailed here. Deadline is October 30th at midnight. 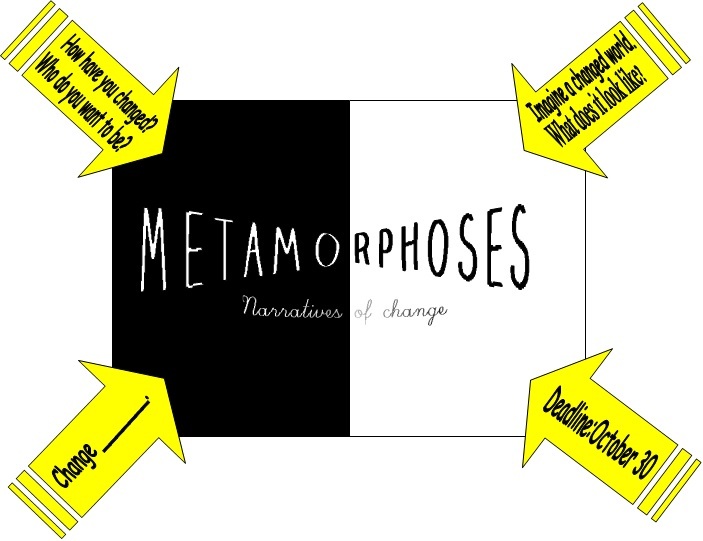 We’ll be discussing Metamorphoses: Narratives of Change over the next few weeks and we encourage you to join the conversation. Stop by Twitter and Instagram (@gsandns), Facebook (GirlSense & NonSense), or just leave comments here. Is change possible? Let’s talk. Share your art; share your voice. We can’t wait to hear from you.